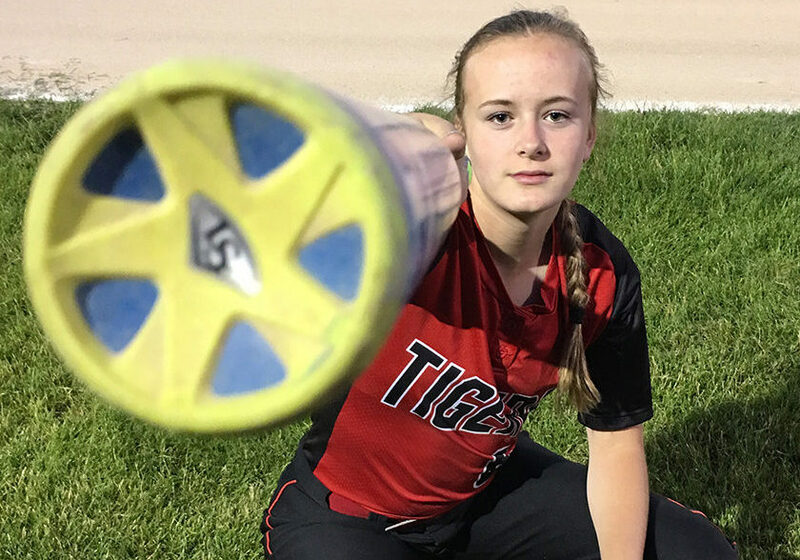 Sophomore Tjaden Petersen and her 2015 Louisville slugger LXT softball bat have already connected for seven home runs. There are many things that play role in exercise such as apparel, health and equipment. Some athletes swear by these; whereas, others don’t even know these exist. Apparel might not seem like that big of a problem at first, but many things are included in this category, such as shoes. Athletes commonly don’t realize that they are in the wrong shoe until it is too late and they get shin splints, pain in the knees, hips, ankles or back. Schillinger loves working at the Runner’s Flat because it hits so close to home with his love to run. Although the path to finding the perfect shoe may be time consuming, Schillinger said it is well worth it for athletes. The process that they go through to help people find the right shoe starts with a gait analysis. They have the clients run, walk or jog on the treadmill as they videotape their strides with a tablet for about 15 seconds. They then slow down the video and watch the motion of the individual’s feet as it strikes the ground and comes back through the cycle. Their goal is to see how the force is being absorbed and how the foot is responding. Another big part of exercise is the health portion, and it can play a huge role in performance. Paige Kvale is one of those few athletes that really pays close attention to her eating habits during the sports season. She focuses mainly on cross country and track season because any unnecessary food could add weight and time. She really tries to cut out all unnecessary sugars and candy. 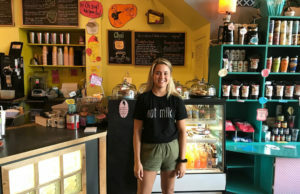 While eating healthy throughout the whole season is her goal, she likes to focus strongly on two days before and the night before her competitions. Two days before the competition, Kvale loads up on pasta and red meats. The night before the competition, she likes to eat greens and maybe a little more pasta. She eats this way to provide her body with the needed iron. While Kvale might not eat healthy religiously, she really hits it hard during her sports because she wants to be the best she can be while also remaining a kid and not asking this lifestyle her life. A small accomplishment for Kvale in addition to other achievements this year would be her starting to eat broccoli. While to some of this won’t seem all that substantial, she said she considers this as an accomplishment because of all the nutrients and benefits that come from this vegetable. Broccoli is a powerful antioxidant that is best known for its abundance in Vitamin C.
Her advice to other athletes is that it isn’t all about eating strictly healthy all the time. It’s about knowing when it is appropriate and what specific diet will be beneficial in one’s unique lifestyle. Another outside essential to athletes is the growing influence of gadgets to assist in training. Equipment in exercise may vary from sport to sport. Some things such as Fitbits or rollers can apply to almost all sports. One piece of equipment that is key in sophomore Tjaden Petersen’s softball career is her 2015 Louisville slugger LXT softball bat. She has currently hit seven home runs with this single bat, including one just last Thursday, May 25, against the Dubuque Hempstead Mustangs, and it continues to be her claim to fame. The LXT bat model is a three-piece bat that has a longer “sweet spot” and less vibration than comparable bats. This allows the ball to initially come off the bat faster and harder while going further. The three-piece barrel technology gives the bat a lighter swing weight, allowing for maximum control and confidence at the plate. It is also a composite bat with a zero friction double wall design this allows the barrel to reach its maximum flex without resistance. The LXT is becoming one of the hottest bats on the market due to its outstanding design and its cool appearance. Whether athletes rely on new gadgets, new diets or new clothing, in the end, the non-negotiable key to success still rests with the athletes’ efforts.